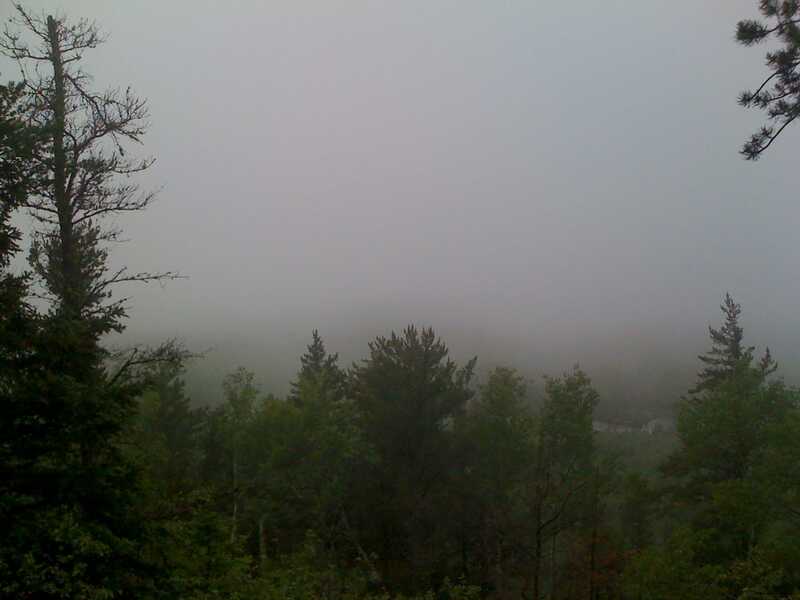 Hiking Eagle Mountain, which sits in the BWCA (Boundary Waters Canoe Area) Wilderness in northeastern Minnesota, is a true backcountry experience for those seeking a state highpoint that offers up more of an outdoors-trail-hiking feel and less of a drive-up-to-the-lookout-point feel. Some other highpoints throughout the Midwest and other parts of the U.S. are less of an outdoors experience and more of a tourist attraction, but Eagle Mountain is not one of those. The BWCA Wilderness includes more than 1 million acres of backcountry right off the coast of Lake Superior right on the U.S.-Canadian border. The BWCA Wilderness, which makes up slightly more than a quarter of the nearly 4-million acre Superior National Forest, offers up exactly what the name suggests – a true wilderness experience. More than 1,000 lakes and more than 1,000 miles of canoe routes are included in its 1 million acres. 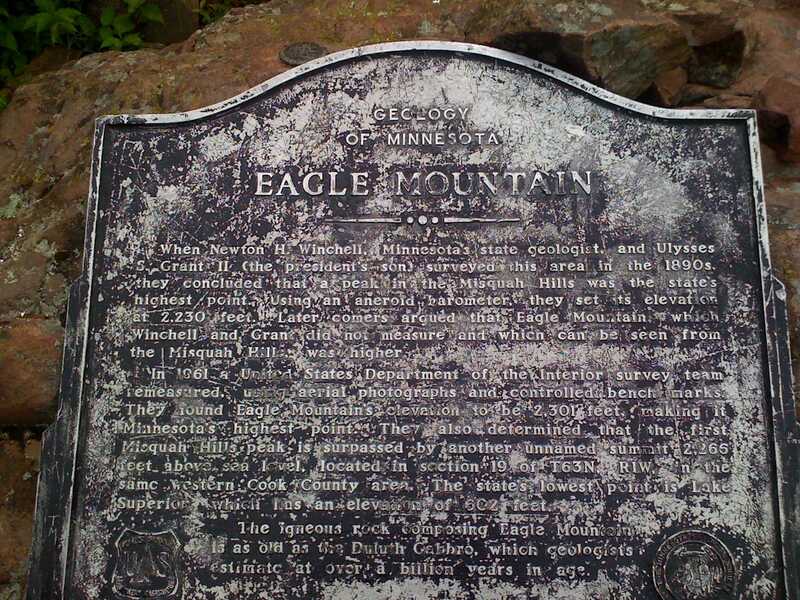 From the trailhead, it takes about 3.5 miles to reach the summit of Eagle Mountain. 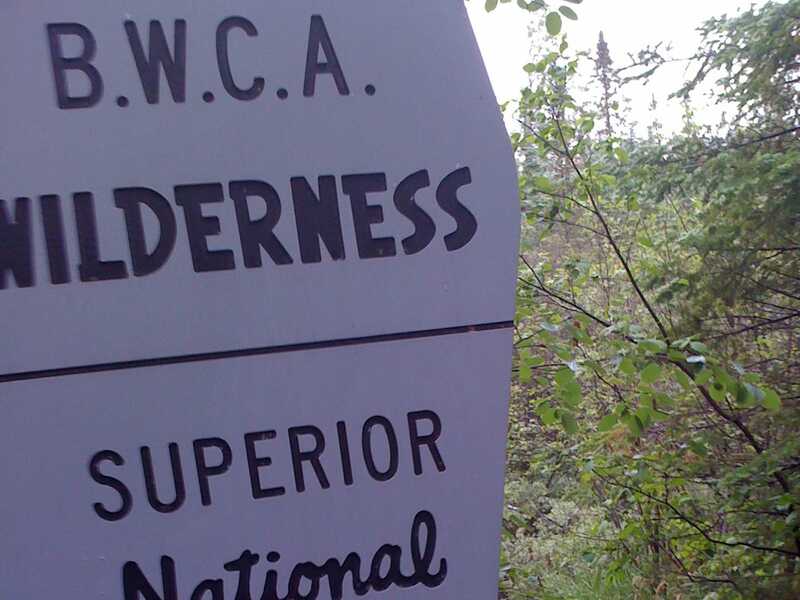 The 7-mile roundtrip gives a good taste of what the BWCA Wilderness has to offer. After a short stretch of dense forest, the trail leads to a series of bogs where you will be reminded that you are in a BWCA Wilderness Area. 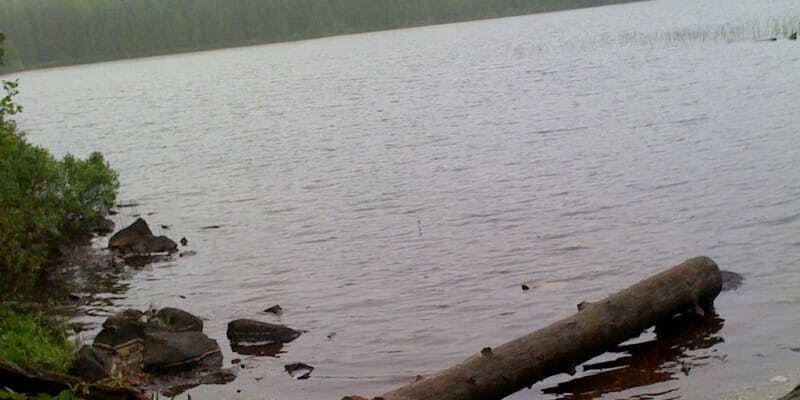 Carefully cross these bogs via wooden bridges of varying stability until you reach the shore of Whale Lake. 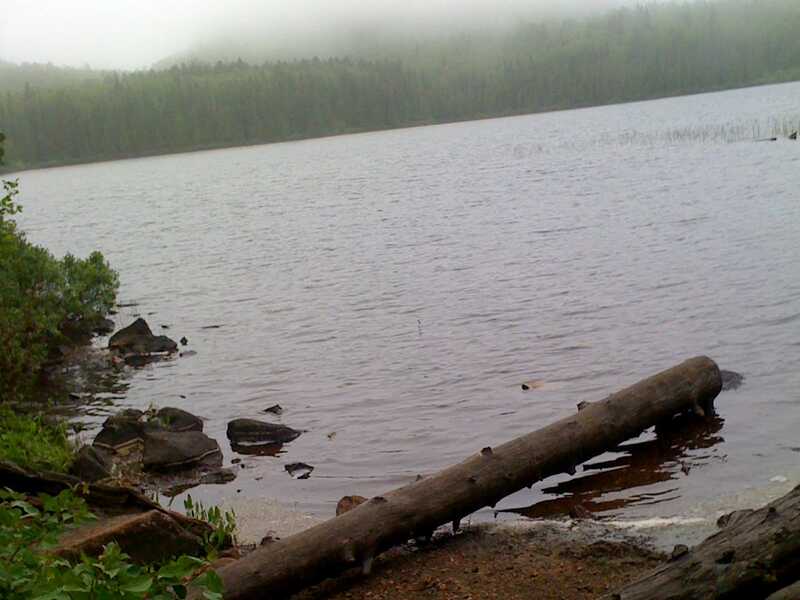 Follow the trail around Whale Lake (it stays very close to the lake) until you reach an Eagle Mountain sign pointing the way. Head up a fairly steep section of trail until the terrain opens up to some nice views of the area. You’re not terribly high at just over 2,000 ft. in elevation but the views are nice. Pay close attention to cairns as you reach the top to point you to the true summit and the plaque. The Eagle Mountain hike includes varied terrain, as the 7 miles of roundtrip hiking takes you near wander near lakes and streams, through thick, rugged forest and then up into more rocky territory near the summit of the mountain. 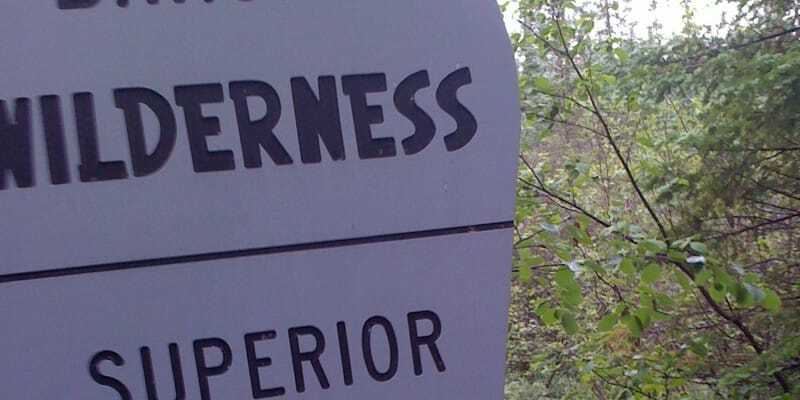 This highpoint experience offers solitude on varied terrain and gives a small dose of northeast Minnesota that left me wanting to explore more – much more. I’ll be back. Tip : Plan an extended stay when visiting this highpoint if you can, there’s a lot to be explored. Tip : Be prepared for cold weather – even in the summer. We were there in June and it felt like fall. Tip : There’s a small donut shop in Grand Marais that may have the best donuts ever. You’ll know it when you see it. 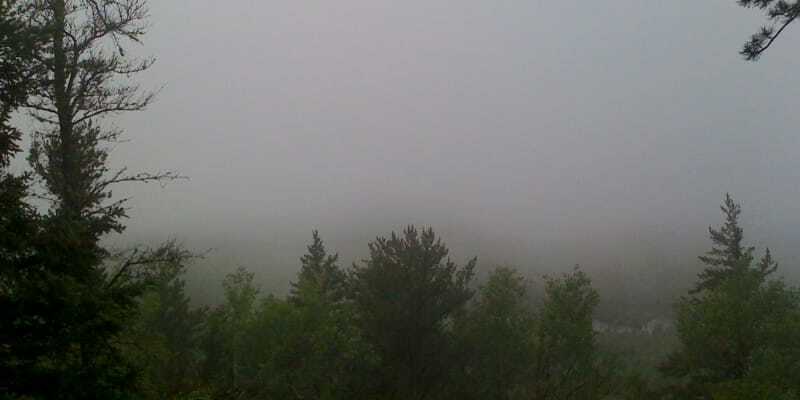 From Lutsen, MN (just south of Grand Marais, MN), head north on County Road 4. Stay on CR-4 for about 18 miles until you reach Forest Road 170. Take a left on Forest Road 170 and travel for a couple of miles – the Eagle Mountain Trailhead and a small parking lot will be on your left. Elevation change (estimate): 550 ft.